An Islamic school at the centre of a terror alert last year is to be shut down after education officials said it was no longer good enough to operate. The Department for Education and Skills has removed the independent Jameah Islameah school in East Sussex from the Register of Independent Schools. This means it is illegal for the school, which was raided by anti-terror police last year, to operate. It comes after the school did not meet an action plan to tackle failings. 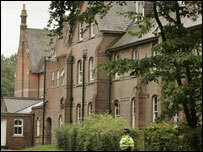 The school, near Crowborough, was searched in September 2006 at the same time as 14 people were arrested in a series of raids in London. Although no-one at the school was held, concerns were raised about it at the time and a series of Ofsted inspections followed. The school, which is not currently operating because of a lack of pupils, was required to satisfy an action plan but this has not been met, the Department for Education and Skills said. A spokesman said: "The department has now concluded that, while some progress has been made, the school nevertheless continues to fail to meet the standards which all independent schools must meet under the Education Act 2002." This relates to the quality of education provided; the welfare, health and safety of pupils and the standard of the premises and accommodation. "In these circumstances, the department has no choice but to delete Jameah Islameah from the Register of Independent Schools," he added. Schools Minister Jim Knight said: "It is important that parents and the wider public are assured that all schools - whether in the maintained or independent sector - provide their pupils with a suitable education, and that we will take strong action against those that are failing. "In the past three years more than 45 independent schools have shut down as a consequence of this government's tough approach. "However, the government remains keen to support the delivery of high quality education by schools in the independent sector, and the recent Education and Inspections Act 2006 will make it easier for independent schools to enter the state sector to improve standards. "The government has funded the Association of Muslim Schools to advise independent Muslim schools interested in joining the state sector." The Jemeah Islameah school could not be reached for a response.